I’ve been a pro photographer since 2007 and it’s fair to say it’s had its ups and downs. The important thing is to learn from mistakes and successes and move forward. 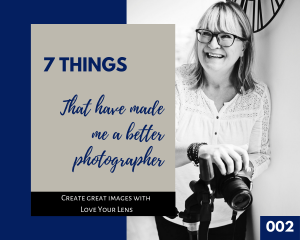 In this podcast I reflect on the things I believe have made me a better photographer. Mirrorless cameras – what is all the fuss about? In this inaugural podcast I take you through the pros and cons of moving to a mirrorless camera from a DSLR. Also a great listen for people considering buying their first ‘proper’ camera with lenses.